I wanted to share a few of my favorite Pinterest ideas with you! I love the entire look of this room. 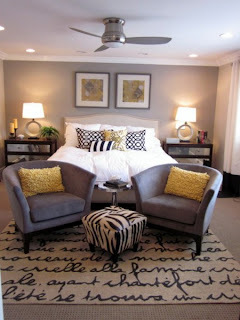 With all the different patterns, on the bed pillows, to the rug and stool. It is so daring to me, but also works so well together. 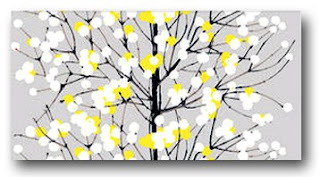 Along with yellow & gray, I love trees, so this explains why I love this piece of art. This chair is so great! 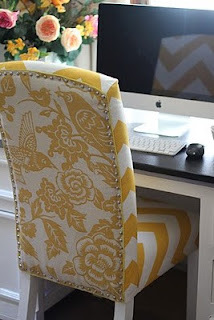 I would never think to use these two different patterns together, but it really looks great! I am so inspired by this piece! 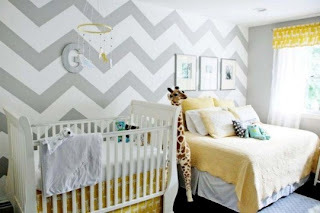 I love the idea of using yellow and gray (with giraffes) in a baby room. This might finally be my chance to have this color scheme in my house. I think the next room I will be redoing will be when we decide to have kids, so this is definitely in my future! They took the yellow & gray color scheme to a whole different level and I LOVE IT! 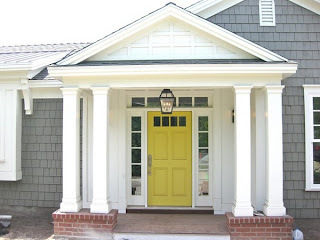 It is such a bold statement on the outside of their home and it looks so classy to me! Love the wedding colors...this works so well together! 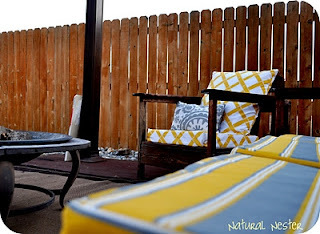 Then of course I love this look on the outdoor furniture! Especially because it is my pin. This is the furniture that my husband and I made together from scratch. You can read more about it HERE. 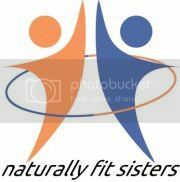 NOW....for the Naturally-Nifty Party #1! 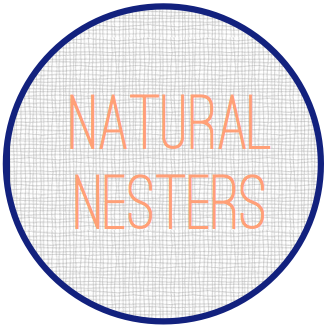 So us sisters over at Natural-Nesters have finally gotten our very first Linky Party together! And we want to invite each one of you to take part in it!! 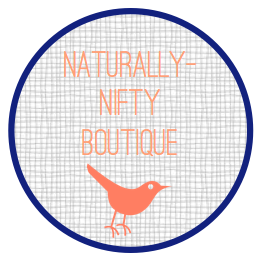 We are so excited to introduce Naturally-Nifty to you! We want this to be a place where everyone can come and share their newest or oldest nifty ideas. 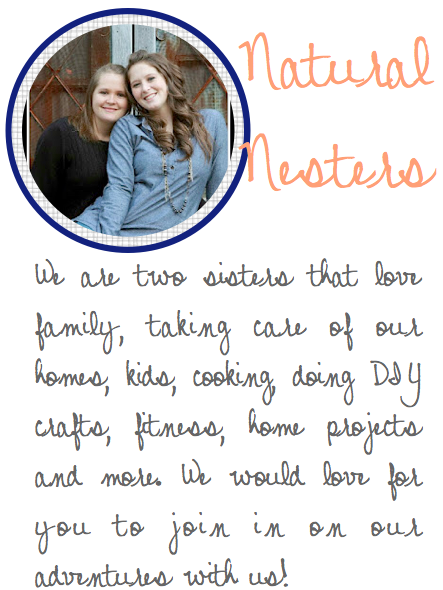 Whether it is a great recipe, a craft you did at home, DIY projects, home decor, or children's projects! We want to see it all! You can post as many links as you want. And next week we will feature some of our favorite projects/ideas! 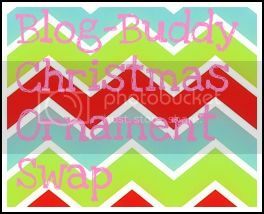 Plus we will have a bloggers choice feature! So take time to visit some other blogs and LIKE your favorites and the blog with the top Likes will be featured next week as well! We can't wait to see your nifty ideas and accomplishments!